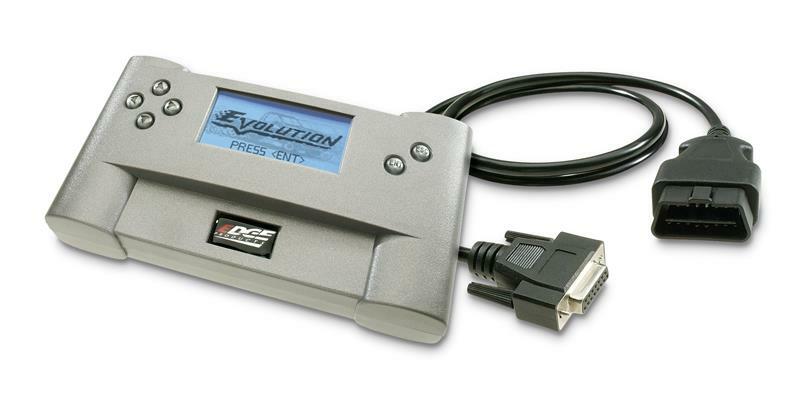 • 0-60 and Quarter mile performance tests while leaving the programmer attached. 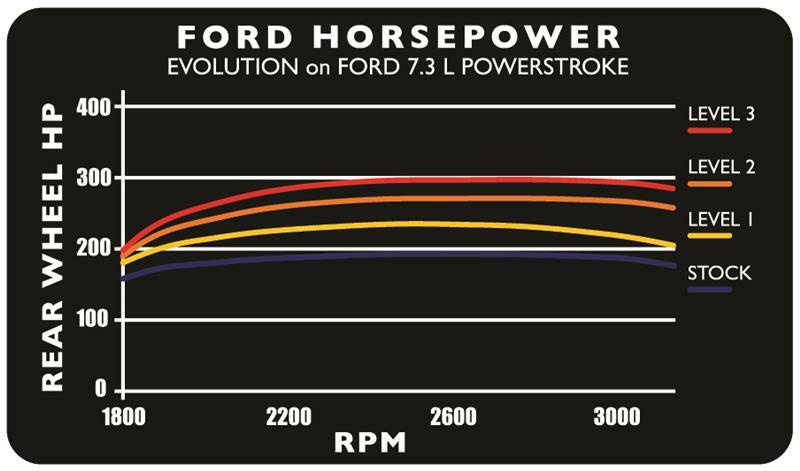 The following power gains are representative of an actual test vehicle. 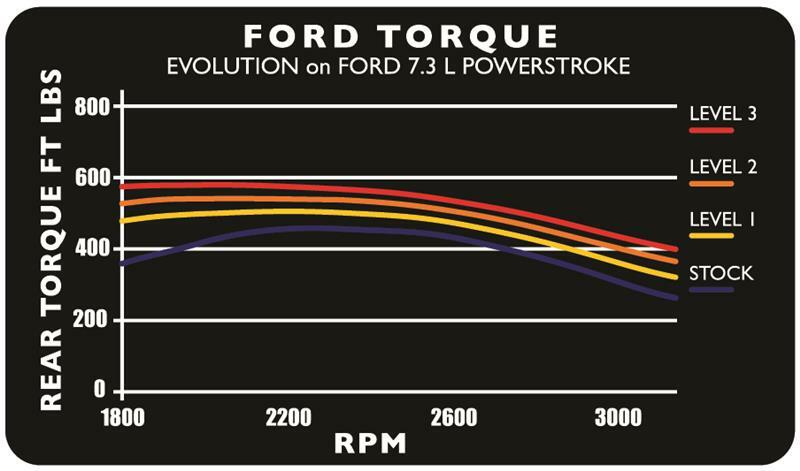 These gains were measured on a SuperFlow Dyno at an altitude of 4400 ft above sea level, and represent power delivered to the rear wheels of the test truck. 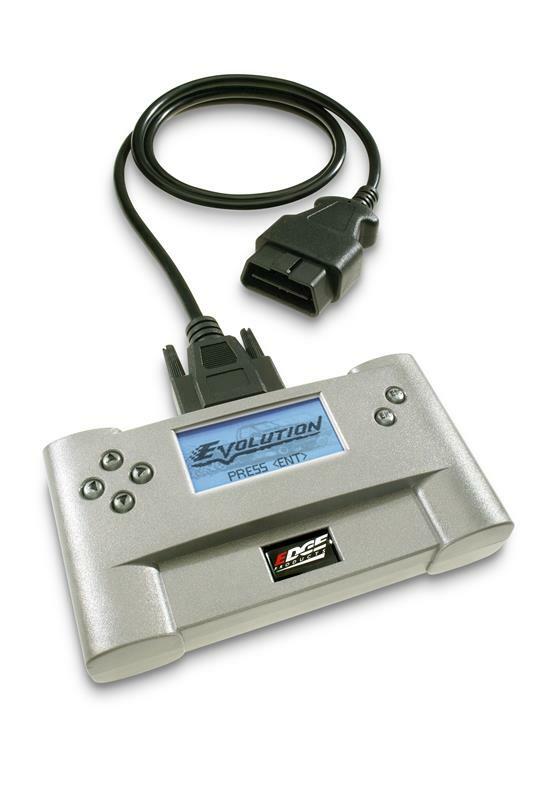 The only modification made to the test truck was the addition of the Edge Evolution module. Power gains may vary based on vehicle and geographical location. CARB certification pending. CARB E.O testing currently in progress. The Evolution programmer has the ability to remove/adjust your vehicle’s factory speed limiter. Improper use of this feature could result in a serious or fatal accident. Removal/adjustment of the factory speed limiter is intended for use in a closed circuit, legally sanctioned racing environment. Even if racing in a legally sanctioned racing environment, it is your responsibility to ensure your tires and other vehicle components are rated to travel at increased speeds with the speed limiter removed/adjusted. If you remove/adjust the speed limiter during highway driving, it is your responsibility to obey all driving laws, including adhering to posted speed limits. Removing/adjusting the speed limiter for purposes inconsistent with the product’s intended function, as stated herein, is a violation of the product’s intended use and invalidates the product’s warranty. Edge Products is not responsible for or liable for the consequences of improper product use.